Gluon delivers excellent veneering performance for site rehabilitation and environmental control. 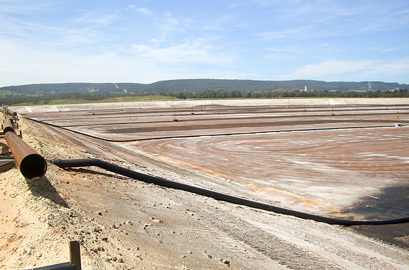 Gluon has been utilized by our clients for over 20 years during the construction and maintenance of tailings storage facilities. Sensitive dust areas veneered with Gluon provides exceptional control – whether for short or long term suppression, Rainstorm design applications accordingly. Don’t skimp on tailings: Gluon lasts. 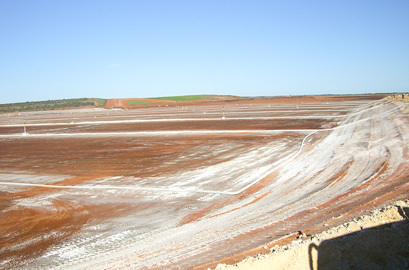 Tailings TFS care and maintenance: Rainstorm have worked on multiple open tailings projects to provide long term dust suppression treatments with applications using on and off road vehicles, water carts and aerial helicopter application. Gluon is very reliable long term veneering for open areas.